Can the law prevent your neighbours from being jerks? More Australians than ever are living in apartments and townhouses. But is regulation enough to keep all of these people, living cheek-by-jowl, in line? Martijn Wilder is the world's top climate lawyer by some accounts. So does he think the law is letting down the environment when it comes to global warming? And if it is, who's to blame? Read about the lawyer whose management skills and networking have taken him to the top of Australia's low-carbon economy. The longest-serving member of the High Court of Australia is no judicial rock star. 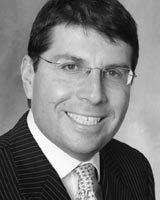 Matthew Knott profiles William Gummow, Justice of the High Court of Australia. Newsweek journalist Maziar Bahari was thrown into an Iranian prison for 118 days and then sentenced in absentia to 13 years imprisonment and 74 lashes. What did he do to receive such a punishment?